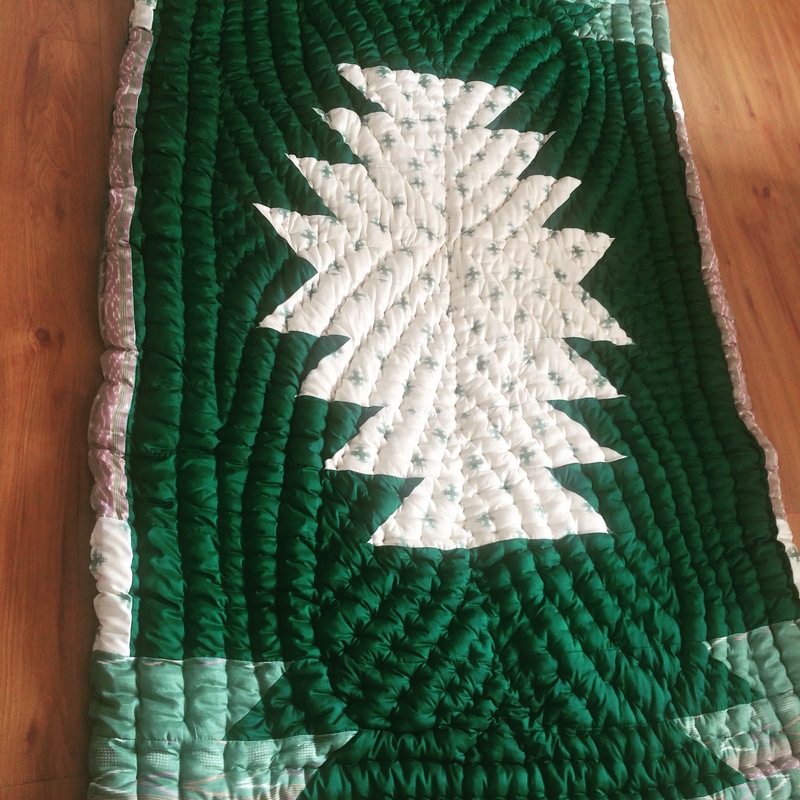 Continuing with my quilts for 2018, here is a quilt I made in January this year, but never got around to sharing on my blog. For this quilt, I recycled an old bottle green khadi silk saree, which I have had for years (and which has its very own story) and an ikat silk dupatta in cream and green with a border in plum red. I designed a really easy pattern-joining simple panels with minimum seams-to take into account the unravelling which inevitably comes hand in hand with working with silk. One day, perhaps, I will write down the pattern and publish it-it is something even a total beginner can handle! 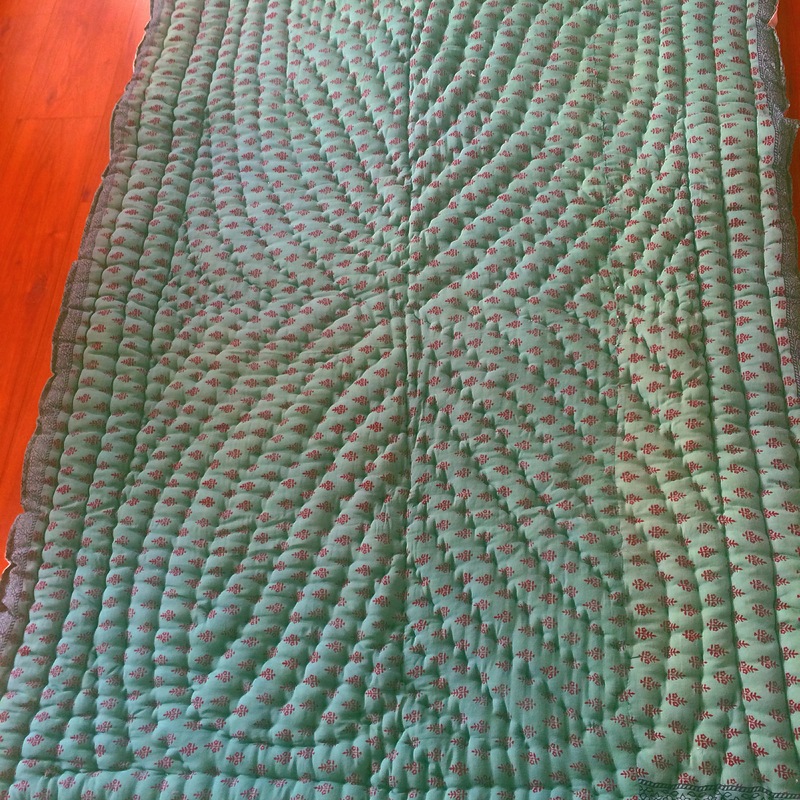 I bagged the quilt with a backing recycled from another favourite saree, this time a muslin,with a Bagh block print. I had it hand-quilted in the market by a tagaiwala, a quilt-maker whose family has been in this profession for several generations. 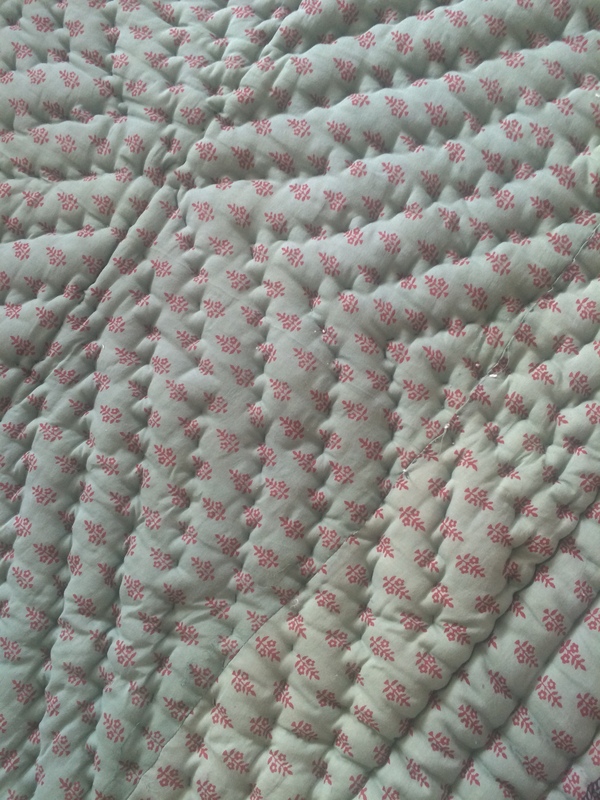 The quilt is filled with nearly two kilos of carded cotton-wool and is really, really warm, to take care of winters in Jaipur, where we have no centralized heating. I think he has done a great job of the quilting, don’t you? Next Next post: Portrait of a Girl…and Her Man!